As soon as you enter the market you’re met with a fantastic array of colours and smells, all of which invite you to taste authentic Macau food. Dubbed the ‘Vegas of China’, Macau’s Broadway market really hits the taste bud jackpot; whether you fancy trying Michelin-recommended restaurants or hawker-style street fare, there’s something for everyone. There’s also festive entertainment, with performances lasting day and night, making Broadway Macau one the hottest days out around. 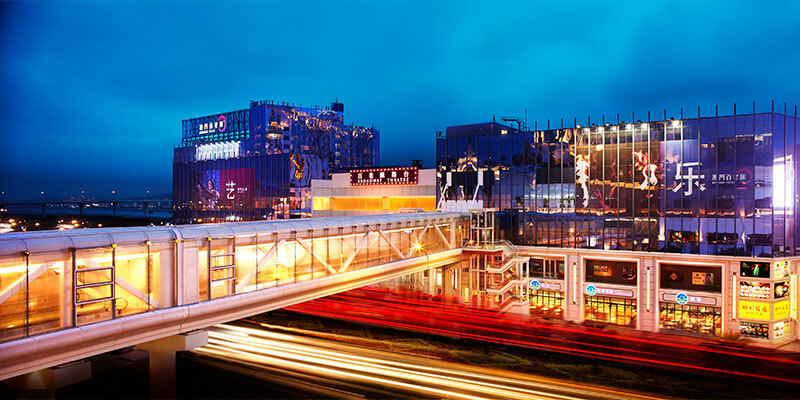 The Broadway Macau is a cultural and culinary hotspot and its riverside location on the Pearl Delta will be music to every fish lovers ears! Known for its tasty crab dishes, you’ve simply got to try Crispy Crab Cakes, a traditional and delicate fritter that’s incredibly moreish. True foodies will love Fish Soup Rice Noodles, a tingly spice-filled soup that’s surprisingly refreshing. Or you could try a throwback to Macau’s colonial days - Portuguese baked duck broth. Hmm! Firstly, Broadway Macau gets busy so it’s best to time your visit in off-peak hours, perhaps heading there for a late lunch. Remember to pace yourself as it’s super tempting to dive into every hawker. Have a look around first to make some informed, yummy choices. And finally, the best access is via the bridge from Galaxy Macau. The bridge is beautifully designed and offers a brief respite from Macau’s humidity!